Retro television sets for your vintage hunger guys. 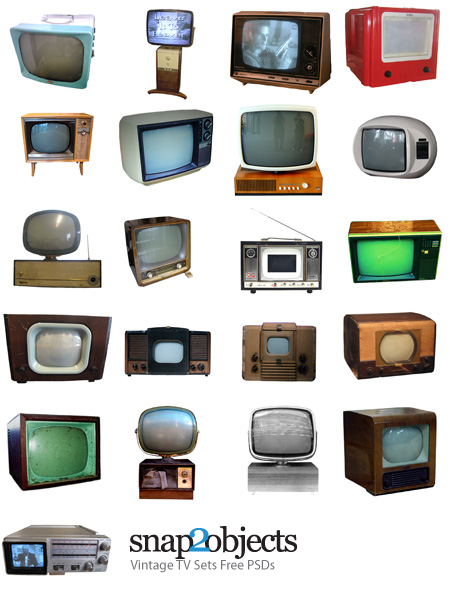 I collected 22 TVs and cropped them to make some useful photo objects for your designs. There are some very old and others more “modern” and one that I am not sure if it is actually a television (the red one on the upper right corner). But all of them surely look great. Hope you enjoy them and remember the times when the most famous family on tv weren’t the Simpsons.